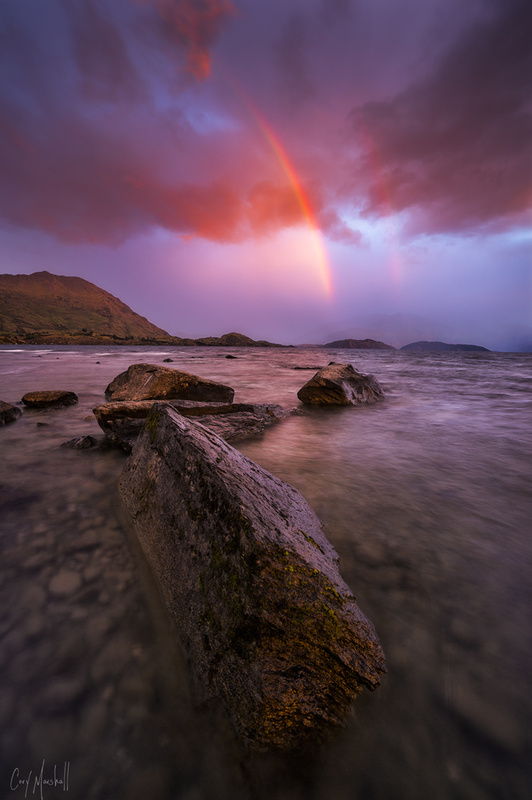 A rainbow appeared above Lake Wanaka for a few minutes during sunrise. I quickly found a compostion and captured this stunning scene. It was all over within a few minutes and then I got soaking wet from the approaching storm. Great scene but I'm not sure about the composition. The positioning of the three rocks is distracting to me.